Greetings everyone! You might be perplexed as the purpose of this particular blog post, especially since it’s the very first of its kind to appear on our site. Well, Maxcatch is currently undergoing a transformation, one that is set to revolutionize the company and usher in a new era for the brand, an era we are keen to share with you, our loyal and valued customers. Part this revitalization includes the welcoming of three foreign interns, a move that’s intended to help restructure the company website in order to ensure a more western-friendly aesthetic and atmosphere, resulting in a more customer-friendly experience. So, who are these interns, and what will they be doing over the coming months? Well, to answer that question, we’ve asked our three new interns to formally introduce themselves to you guys, giving you all an insight into their duties here at Maxcatch. So, without further ado, let us introduce the first intern! Hey there! I am Nicolas Rysdale, a French intern who’s working for the Maxcatch sales and marketing department. I am an International Business with Asia student currently finishing my bachelor’s at ISUGA. My job here is to enhance the company’s social media activity, develop the French market, and deliver high-quality content to our customers. For now, my main purpose is to develop the Maxcatch brand I love so much! I am a nature lover and I really enjoy the Maxcatch fly fishing experience and lifestyle. Greetings everyone. I’m Samuel Gilzean, a British intern currently working for Maxcatch as a digital content writer within the company’s sales and marketing department. I have recently graduated from De Montfort University with a master’s degree in English. My role here at Maxcatch is to revolutionize the company’s entire online portfolio – from the website to the social media - and help it develop into a recognizable fly fishing brand that is loved and respected around the world. It’s a pleasure to finally introduce myself to you all, and I cannot wait to immerse myself within the Maxcatch lifestyle. Hello Maxcatch family! My name is Laura Fides, a Spanish student currently studying Business Management and Administration at the Polytechnic University of Valencia. I am a very social person who loves to travel, learn and meet with new people, so my main responsibility here at Maxcatch is doing market research, establishing marketing strategies, and developing the company’s social media channels. 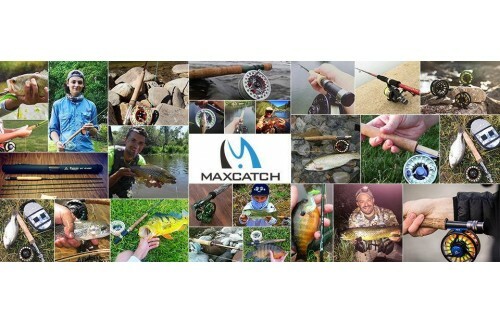 I am super excited to be part of the Maxcatch lifestyle and family, and I hope you join us on our Maxcatch adventure. And there you have it! Please give a warm welcome to Nicolas, Samuel, and Laura as they join us on the Maxcatch adventure. We’ll be releasing weekly blog posts, penned by both our intrepid interns as well as the valued members of Team Mazu, our professional team, covering a wide range of topics from new products and services to fly fishing tutorials and community outreach projects. Make sure you check back every week! Thank you for reading, and happy fly fishing.